Nearly everyone has a handful of change in their pocket or wallet. What made us decide to turn these every day objects into wearable art? First – they’re cool. Coins have beautiful design elements. The material used in contemporary coins retains these design elements during the process of creation, so you end up with a design that is unique, yet recognizable. The material in U.S. coins is durable – coins last around 40 years in circulation, so a coin ring should last at least that long. 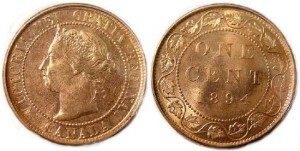 For Greg, a childhood spent collecting coins led to a life-long interest in numismatics. For Nancy, the aesthetics of some coins is just remarkable. Take a look at an old Canadian penny. Imagine the vine pattern on the outside of a ring. Stunning! Lastly, coins can be used to commemorate a special event by using a coin with a specific date or location on it. Instead of carrying it with you and accidentally spending it, you can wear this keepsake. Great Sizer’s Ghost! Finger-tips on getting the perfect size. Wait! My finger turned green! Copyright © 2019 Mrs Magpie's. All Rights Reserved.